Paul: At last, summer is coming, at least to the Northern Hemisphere, and with it the promise of board games outside in the sunshine, games that you spill your juice on, games covered in ants. BUT WHICH board games are we most looking forward to covering in ants in the near future? Quinns: Well Paul, do you remember when we said that Funemployed was the best game ever and our audience refused to buy it because they were terrified, en masse, by the prospect of having to be funny? Quinns: Do you want to try and sell a funny experience ONE MORE TIME? Paul: DOUBLE OR QUITS, BABY. 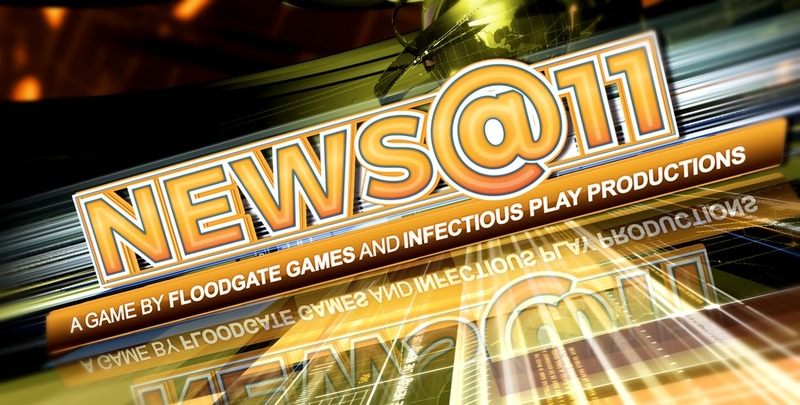 Quinns: This week we were thrilled by news that [email protected] will be soon be published by Floodgate Games. This is a storytelling game where everybody first writes prompts on cards (so “bees” or “pears” or “stuck in a vent”), and players act out a simple, structured news broadcast where everyone has a different role on the team, but everyone has to incorporate those prompts. So perhaps you’re playing the presenter of the “Home & Beauty” segment, and so when the news anchor throws over to you (“And now here’s Paul with Home & Beauty”) you then have to spin whatever’s on your cards into your news (“Thanks Quinns! I’ve got a question for the viewers at home. Don’t you hate when you get stuck in a vent in your very own home?”). We actually played an early version of [email protected] at a convention years ago, and here’s the best part: If you hate improvising, you can be the program’s director. You then spend the whole game orchestrating the show by dealing out instruction cards like Wrap it Up, Breaking News or Interview Segment (“And, um, we actually have someone stuck in a vent right here in the studio…”) whenever it will be funniest. But maybe most importantly, players aren’t trying to be the funniest to get the most points (as you find in Snake Oil or Funemployed), you’re all just working together to tell a fun story. 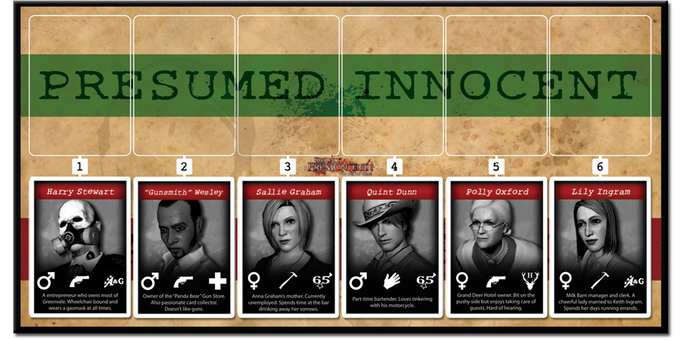 Paul: And that’s not the only news we have this week from Dead of Winter co-designer Jon Gilmour! 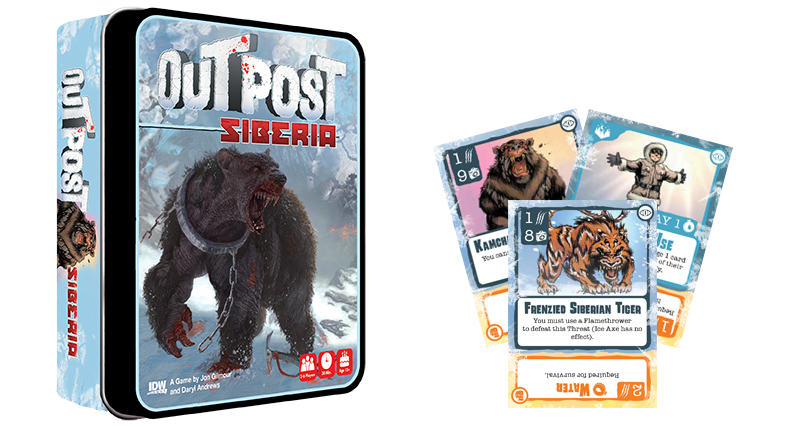 Outpost: Siberia is the first of a planned series of four smaller, tighter co-op games that IDW Publishing say will still offer all sorts of depth and decision-making. When you’re looking at a $20 price tag, you’re likely making assumptions about a simpler experience, but Gilmour’s name on this, plus the increasingly prolific Daryl Andrews, makes this a much more interesting prospect. Quinns: It really is exciting marketing to find out that a board game is just game #1 of a series, as we saw in Century: Spice Road or Dead of Winter: A Crossroads Game. But as Matt said in our BGG Top 100 feature last week, where the hell is the next Crossroads game? 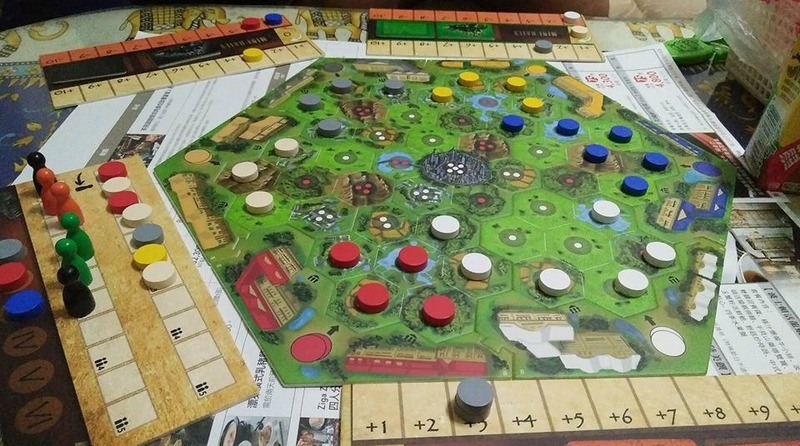 Paul: We always look forward to BoardGameGeek’s write-ups on the Tokyo Games Market and, once again, this year’s post does not disappoint. These four games, all peeked at during a preview event, are an excellent and diverse selection that cover setting up railways, killing birds, manic dexterity and… bees, I think? Not only do I want to try each and every one of them (and so let’s hope they find distributors who can make that happen), I’m pretty taken by the first one, Mini Rails, a deceptively simple game of stocks and tracks. 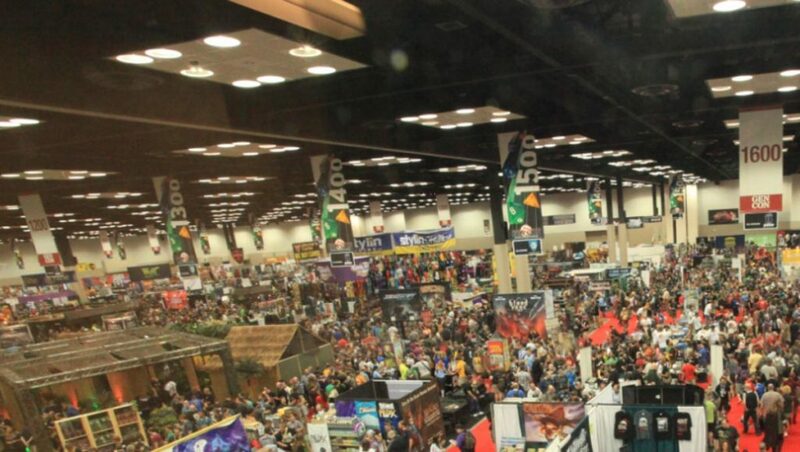 It’s my hope that I might bump into a couple of these at, say, BGGCon, much as I did with Honshu last year. Quinns: I’m pretty taken by Crows Overkill, a card game where you’re trying to spend a precious moment with your loved one and crows keep showing up, so you have to kill them. We’ve all been there! Am I right lads? Paul: Over in the ever-fertile orchards and fields of the RPG Kickstarters section, we find Cascade budding. A supplement for cyberpunk RPG The Veil, which based itself on the now perennially popular Apocalypse World system, Cascade’s capable pitch shows off some terrific art and promises to take your game of The Veil into an even stranger “post-cyberpunk” experience. You know what? I’m not always the biggest fan of cyberpunk, but I really like how slick and stylish this looks. It speaks of so much thought and confidence invested into the background and into helping you world-build. Quinns: Right? Actually, I wanted to list this in the news because a lot of cyberpunk fiction and RPGs haven’t been working for me anymore. Something absent from a lot of classic 1980s-style cyberpunk (think Blade Runner or Shadowrun) is the foggy, dream-like encroachment of augmented reality into our day-to-day lives. Reading The Veil gave me that sinking feeling in the pit of my stomach that cyberpunk used to give me when I was a teen, where this fantastical future feels equal parts horrible, seductive and close. On top of that, this Cascade supplement offers something I’ve never experienced in an RPG before, which is the chance for players to spin the clock forward a few decades and think about how their sci-fi characters (and the world) might have changed. The Kickstarter page links to a free version of The Veil, too, so if you’re even a little bit curious about any of this then there’s no excuse not to rummage. …And in further news of Kickstarters letting RPG creators make their games even weirder, there is Monarchies of Mau. 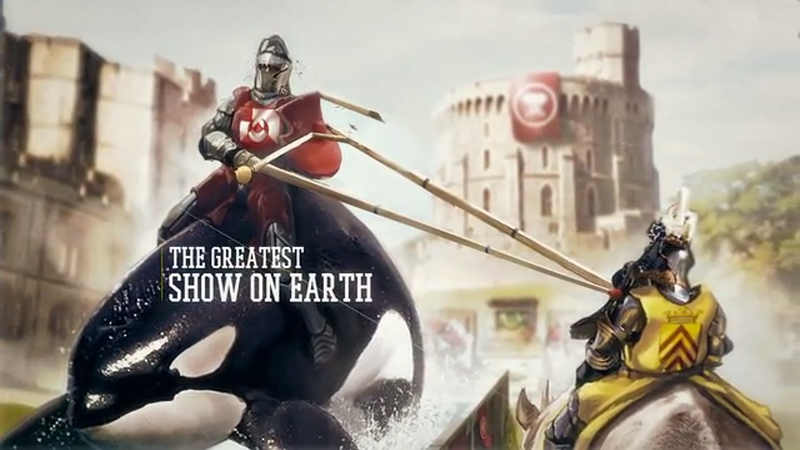 Described as “The Three Musketeers meets Planets of the Apes. 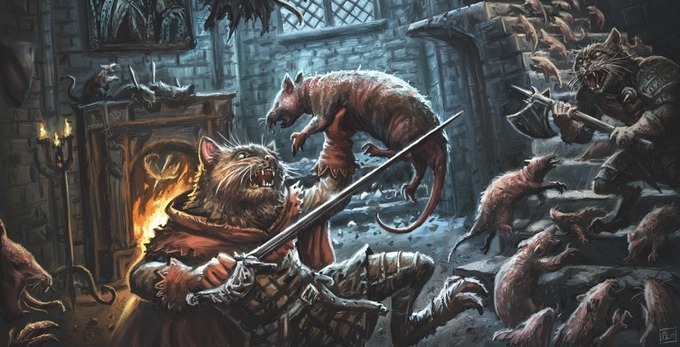 But with cats,” this game is a sister game to Pugmire (which was, in turn, basically Mouse Guard with dogs). Quinns: I know right? My brain needs this to stop, but my heart needs it to continue. Or possibly it’s the other way around. Paul: Did you see this Kickstarter for a Deadly Premonition board game? A tabletop adaptation of one of the strangest and most eccentric and perhaps slightly broken video games ever made? How appropriate that this surfaces just as Twin Peaks is back on our screens, as that show influenced Deadly Premonition so much and yet the game was arguably even weirder. Can this come out as strange as we hope it will, though? I think it would be difficult to deliberately make a game as eccentric as the original and that much of the big success this Kickstarter has already seen comes from people buying into that nostalgia, as opposed to spotting anything as uniquely bizarre this time around. What I see here is signs of a decent card game, but nothing as cryptic as strange messages in my coffee. Quinns: Paul, this is a board game spinoff of a wobbly videogame from two first-time board game designers, prominently featuring “take that!” cards. If this game is fantastic I will eat my glasses. Paul: But… that might kill you. Quinns: I know. Tell my wife I love her. 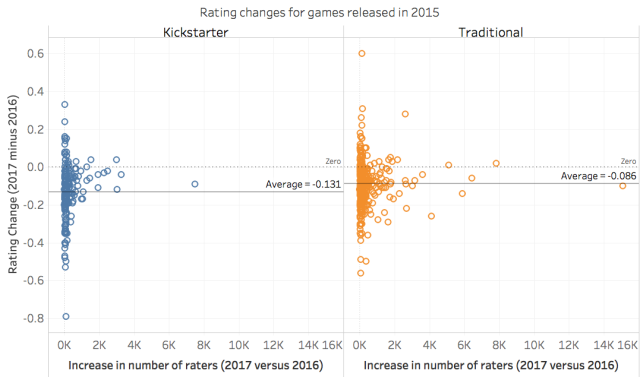 Paul: Speaking of Kickstarter, which is now pretty much one of the cornerstones of the industry, our invaluable and wonderful business manager Chris spotted this analysis of the appeal and popularity of Kickstarter games using their BoardGameGeek ratings. Spoiler: the ratings of Kickstarter titles drop faster than the ratings of other titles, particularly if miniatures were a big selling point in a game. It’s an impressively in-depth examination. This adroit analysis looks at both raw data and also people’s anecdotal reasons for being or not being excited by crowdfunded games. The points about the “shiny” appeal of component or miniature-heavy games strike a particularly powerful chord with me, as I’m sure it will with many people. I’m pretty sure that, for years now, many would be crowdfundees have been exploiting a particular audience love, even weakness, for bits and bobs. Quinns: I find it interesting when people claim that they’re not biased towards games they’ve backed on Kickstarter, not because the data tells a different story but because when I back a game on Kickstarter I instantly feel myself become emotionally involved. Who wouldn’t?! You’re making a financial commitment to something that doesn’t even exist yet because you believe it will be great. Then let’s take into account the simple fact that you have to wait for a Kickstarter, which makes finally playing it such an electrifying prospect. And of course, in our hobby, that excitement isn’t just something that you personally enjoy, it’s something the other players around the table can feel too. …Which is usually the point that the SU&SD reviewer shows up and has to do their job, completely divorced from the marketing and slow-burn excitement surrounding the game, and often reviewing something that costs a little more and with a few less stretch goals in the box. It’s a very tricky line to walk without upsetting the backers. BUT HEY! I don’t want to end this news post on a downer. 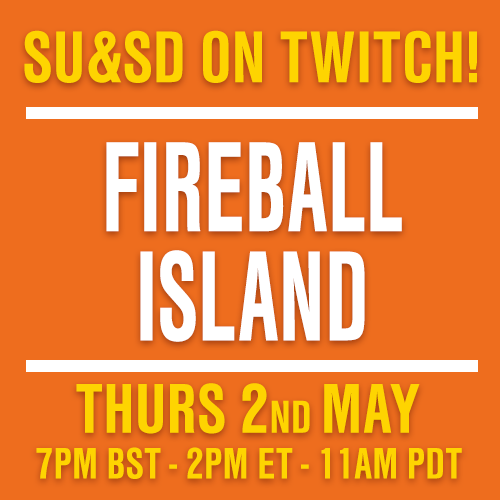 The entirety of team SU&SD finished last week’s feature with a jittery excitement about how great board games are. What games did you enjoy last week?